Get in touch with the individuals at the heart of supply chain management as well as the production, design, and management of products. Pull this ready-made email list and find the contact information of those in operations departments of companies. Operations departments are often the heart of manufacturing companies and vital to many other types of companies. They manage supply chains, improve processes, ensure quality, allocate resources, and help the company maximize production as a whole. While designing, organizing, and realizing a company's products, operations employees make a wide variety of decisions that can impact an entire organization. If you provide raw materials or have a useful organizational tool or some other operations-related product or program, you can get in touch with decision-makers in operations directly with the help of this premium, pre-built, ready-to-download directory. Contact those in operations by obtaining accurate contact information with the help of this premium directory. Operations professionals from many different companies and industries are consolidated together and organized into this one email list. 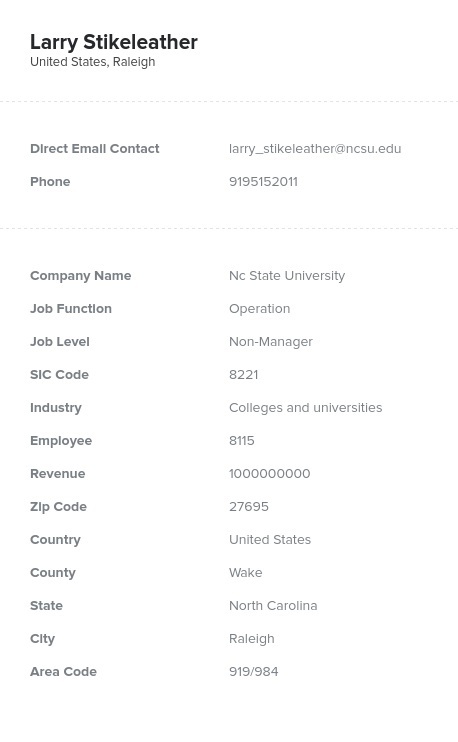 This database contains the information you need to make connections: emails, phone numbers, titles, company names, and more. This is one of Bookyourdata.com's pre-built data products, meaning that it's ready to download right now. You can also customize your own targeted lead list with the help of our customized list-builder application. Find the forward-thinking decision-makers working in operations departments at many companies with the help of this accurate, human-verified contact list today!